I love video games. I love the creativity behind games, I love the skill it takes to play games, I love the indescribable satisfaction one gets when they finally beat that level that they thought was impossible, I love them all. Admittedly, I play less games than I use to. I’m a completionist which means games take me a little longer than forever to finish. 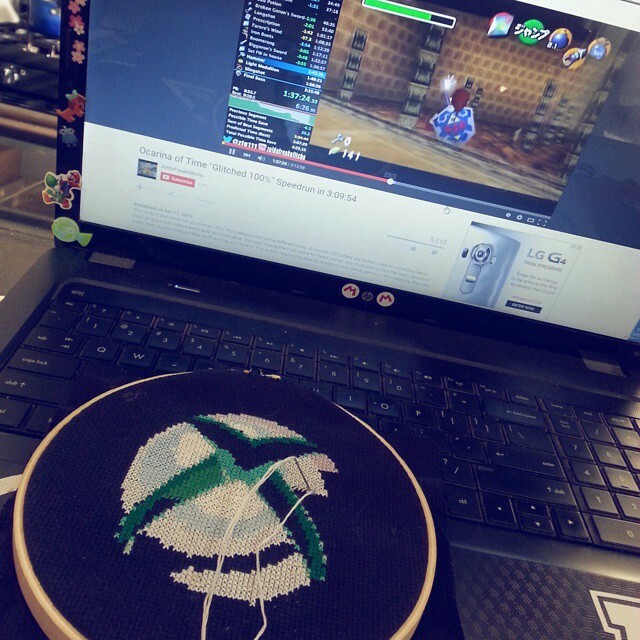 I have become more of a vicarious gamer over these past few years, but my love for games has not diminished. 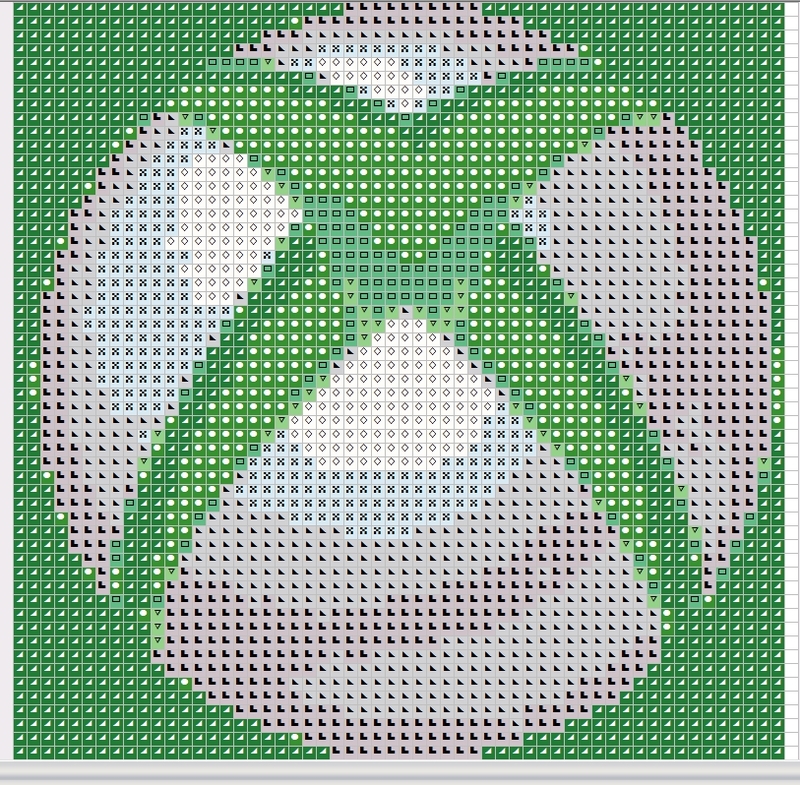 I decided to pay homage to the Xbox. We finally got the X1 this past month (yay! ), so it was time to do a little something crafty. 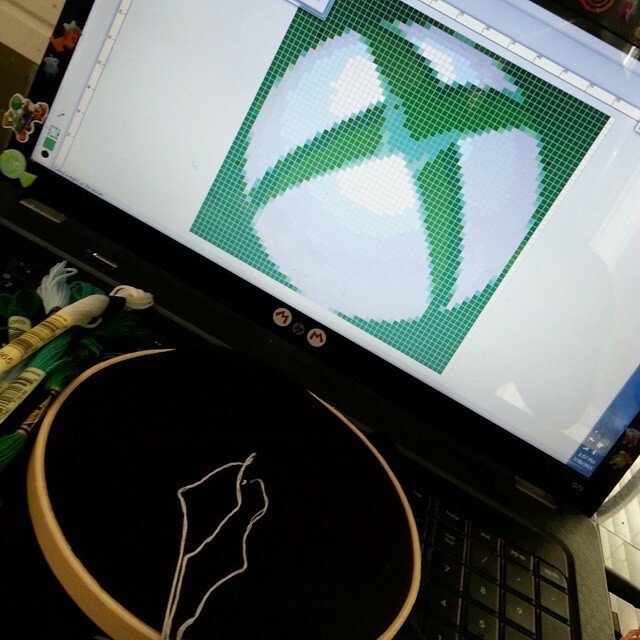 And now you can make you own Xbox too! The pattern takes longer than one would think for a 4″ circle (about 2,400 squares). That being said, it only has like 8 colors which are mostly in big chunks, so it’s an easy project to make. 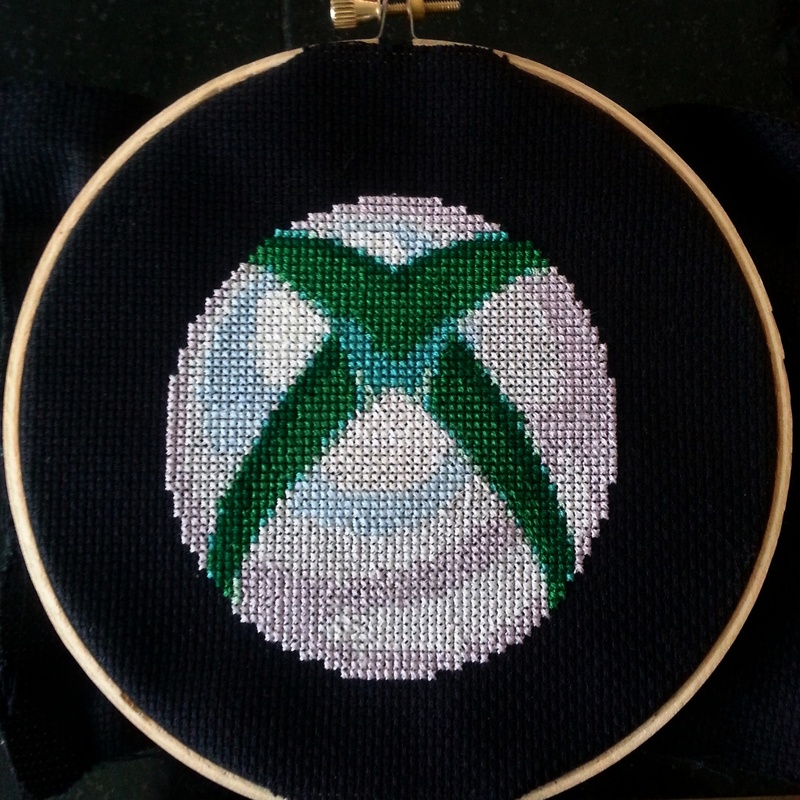 Also, to all of those of you who are participating in #30for30crafting…you guys are amazing! And please remember to take the time to look at all the awesomeness being created — there are a TON of pics on both Tumblr and Instagram! Previous PostThe Crafts Will Come Out…TomorrowNext PostStick a needle in it, this sucker is done!